"The Hours" is about time - time we have left to make our lives enjoyable or to spend it in misery. It features the lives of three women, which might explain why half the film-goers (the males) might not want to see it and why it was left out of Ebert and Roeper's Top 10 films. If that perception is true, that would be a shame. 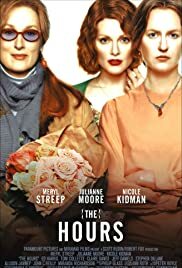 "The Hours" is a wonderfully crafted film about universal themes of life and death, suppression and freedom, and unresolved love. That it is told from the viewpoint of three women should not diminish any of its appeal. Virginia Woolf must combat her life long mental affliction even as husband Leonard tries to manage her condition. Using the novel, 'Mrs Dalloway', the film conveys the heartache of isolation and forlorn lives in two other women who are directly connected to the book. In 1951, we meet Laura and Dan who, with their young son, would seem an ideal family. But Laura yearns for freedom, much as Mrs. Dalloway, and she must choose between giving up her family or dying. Move to 2001, and there is yet another Mrs. Dalloway in Claire and her dogged responsibility toward her former lover, Richard, now dying of AIDS. The themes of liberation, lesbianism, and dying enthrall all three women, and one does die in order that those around her might value even more the living. You cannot find three better actresses to portray these very complex individuals, in Julianne Moore, Meryl Streep, and Nicole Kidman, any or all should be nominated for Oscars. 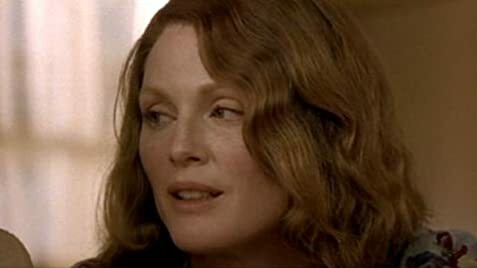 An equally fine supporting cast of Ed Harris, John Reilly, Stephen Dillane, Claire Danes, and Allison Janey make "The Hours" one of the most interesting and intelligent melodramas to come along in a while. 86 of 118 people found this review helpful. Was this review helpful to you?